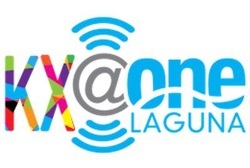 June 30, 2014 KX@OneLaguna Radio Interview on "Bonus Track Radio." July 4, 2014 Laguna Beach Coastline PIlot "Reaching out, one person at a time." August 28, 2014 Laguna Beach Magazine "Broadening Horizons."